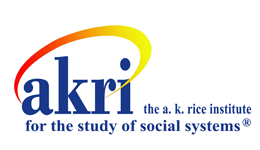 We’d love to hear your thoughts about things like AKRI's Annual Residential conference, which is in its first year under the directorship of Patricia Kummel. 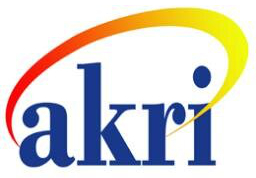 Or about the 2019 AKRI Dialogues, where we’ll celebrate AKRI’s 50th Anniversary and plan for the next 50 years. And we’ll also be considering critical transitions in things like the Training and Certification Committee and in how AKRI supports Conferences. With Belgirate right around the corner, AKRI’s place in the global GR community is sure to be on our mind, too. Finally, with the new representation from the Affiliate sector, we have an opportunity to reconsider the way we co-create a thriving GR ecosystem and a rich membership experience for everyone. In my year as president-elect, I’ve learned so much from getting to know our members and our larger community. I've heard the diverse experiences and opinions of the AKRI membership, but everyone I've spoken with shares two common beliefs: first, GR changes lives; and second, we need GR now more than ever. Let’s translate that deep commitment to this work into an active membership and a community revitalized by new connections and new possibilities. Let the Board hear the voices and visions of our members. Or, if you want to get involved, let us know and we’ll tell you about open committee seats or other places where we could use a hand. AKRI can only thrive when all of us get involved. Finally, with so many transitions this week, we can’t forget to express our gratitude to our outgoing president, Neil Neidhardt, whose leadership has guided AKRI smoothly and steadily through the last two years, as well as outgoing Board Director and Chair of the Affiliate Relations Committee, Frank Marrocco. Neil and Frank will continue with the Board for another year (as past president and as an ex officio member serving the transition in the Affiliate structure), and their ongoing contributions merit our enormous gratitude. Join me in thanking them and in welcoming Sheri-Ann, Ed, and Seth to the Board. I’m sure more blog entries will emerge as we report on Board business throughout the weekend, but I wanted to get this posted in time for you to chime in before the retreat. I look forward to hearing from you and to serving the AKRI community as its new president. Comments on "Transitions & The Upcoming Board Retreat"